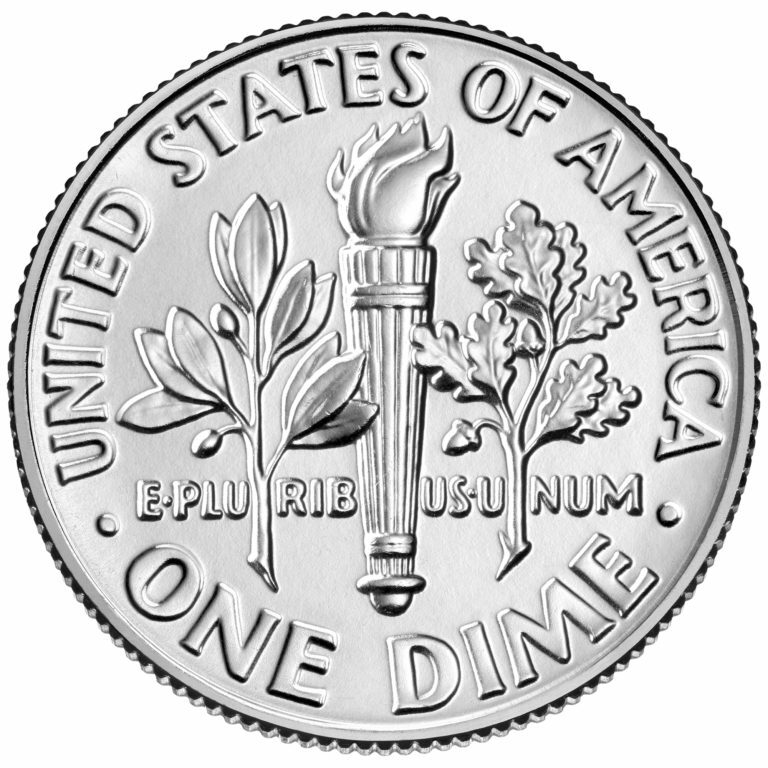 The dime is the smallest, thinnest coin in use today. Lady Liberty reigned on the dime in different forms for many years. Usually just her head was shown, but her full body, seated on a rock, was used during the 1800s. She was shown with wings on her head from 1916 to 1945 to symbolize freedom of thought. 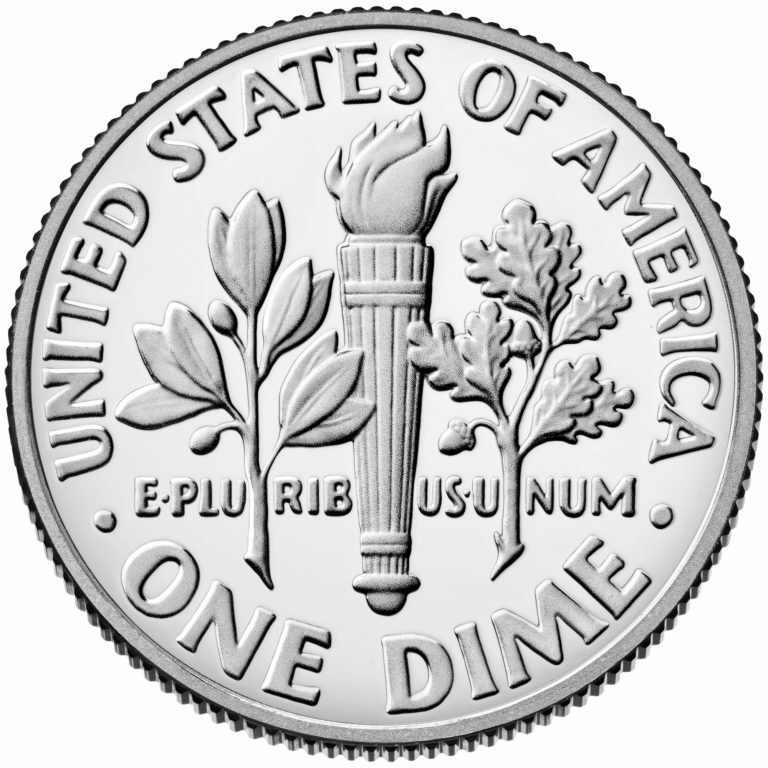 This is often called the Mercury dime. 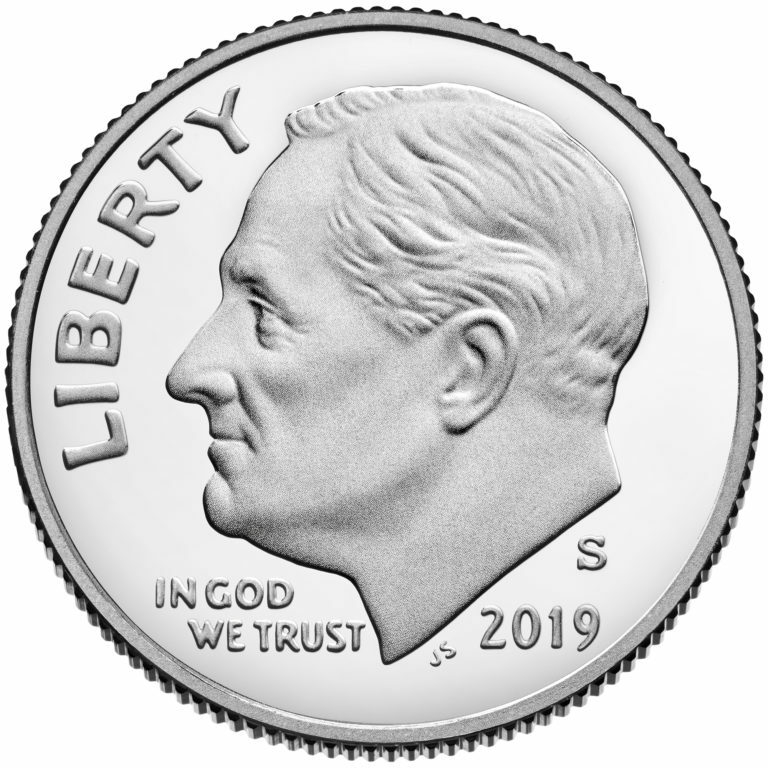 In 1946, the dime was a good choice for honoring Roosevelt because he supported the March of Dimes, a program that raised funds for research to find a cure for polio. He contracted the virus when he was 39 years old. 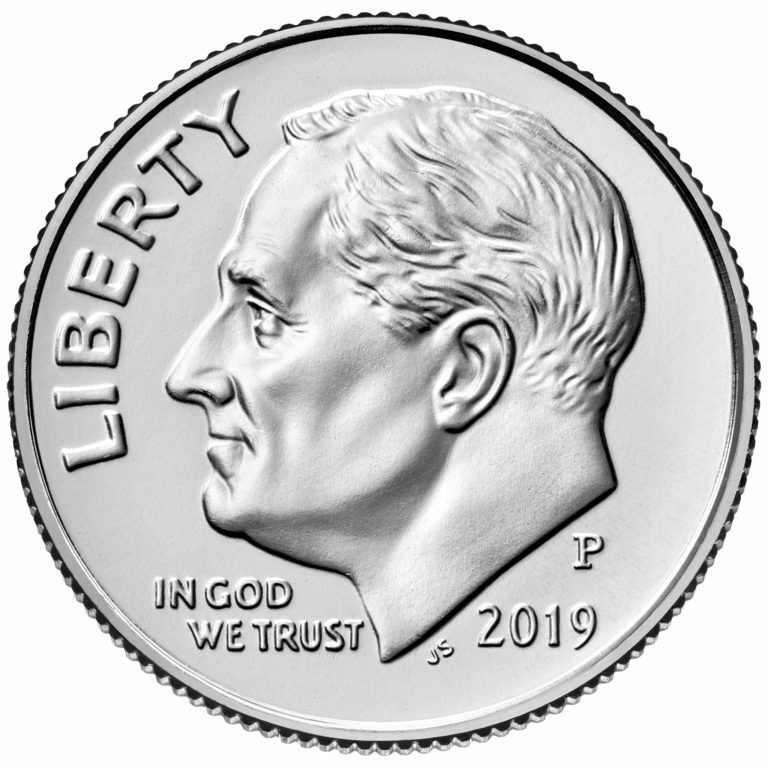 Obverse (heads): First appeared in 1946, soon after the death of President Franklin Roosevelt. 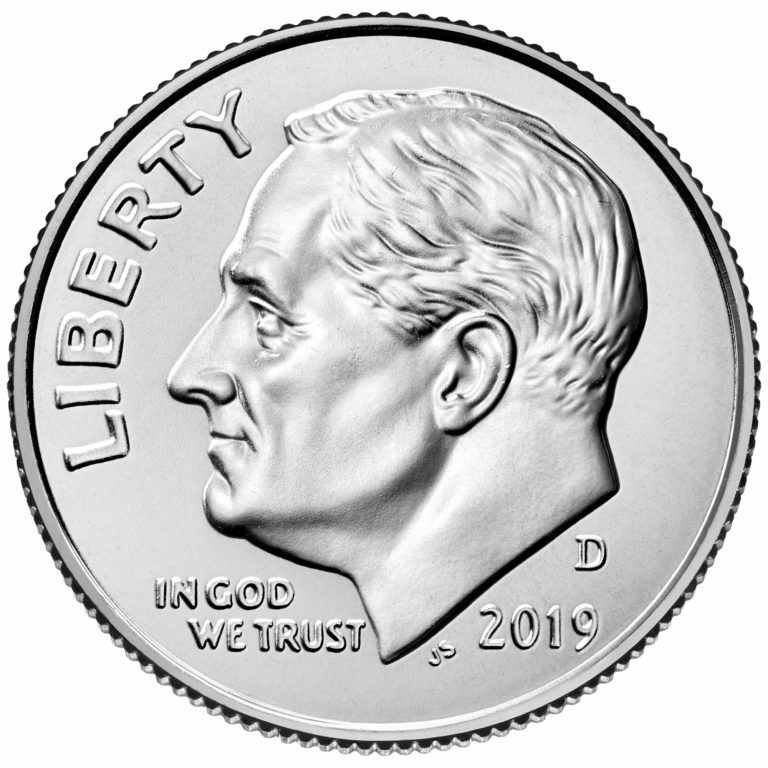 The Roosevelt dime was released on the late president’s birthday, January 30. The design features Roosevelt’s left-facing bust. Reverse (tails): Displays a torch signifying liberty with an olive branch on the left signifying peace and an oak branch on the right signifying strength and independence.